Exist Archive: The Other Side of the Sky Review | Nerd Much? Riding a motorcycle through the streets of Tokyo, main character Kanata is on his way to meetup with friends when something unthinkable happens. Mere moments after showing him safely on his way, crowds gather around a large hole with police and medical professionals on standby. His friends desperately cry out for him as the scene pans to the bottom of the site, where he and another girl are shown nearly dead, bloodied and wounded from a fall. We don’t know what happened, but the mysterious girl with long black hair says something interesting, “I don’t want to die…with you…”. Seconds later, Kanata wakes up in a vivid and colorful fantasy world, narrating as he questions his surroundings. He then bumps into a girl with flowing white hair, as he ventures to an unknown forest. This begins the game of Exist Archive: The Other Side of the Sky. The game has one of the most interesting and griping openings in JRPG history, and I knew right away that Exist Archive would both capture and keep my attention. 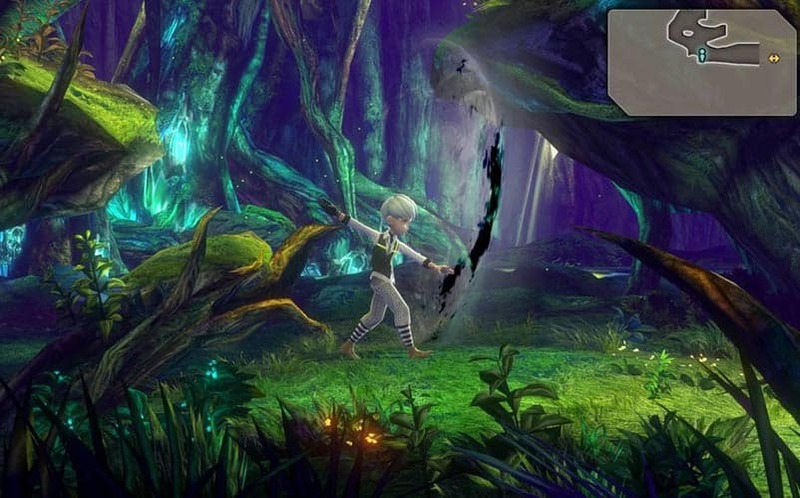 It’s always hard beginning a story, but Exist Archive does it quite well. 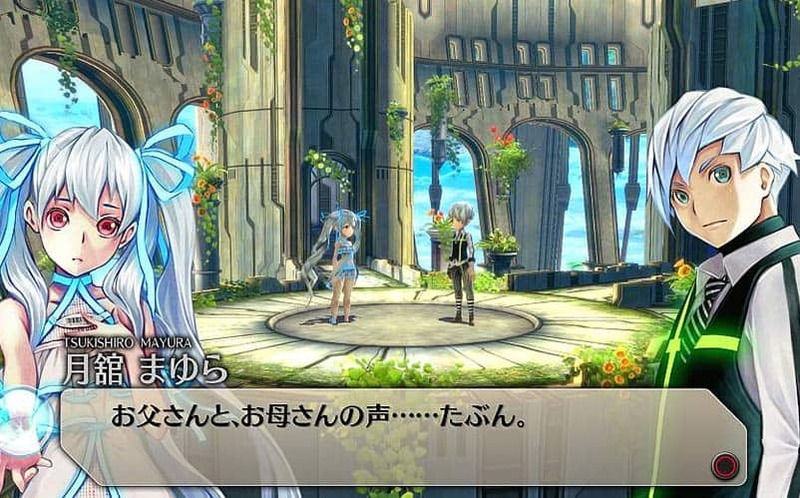 Known as the spiritual successor to the Valkyrie Profile series, Exist Archive: The Other Side of the Sky, was developed as a collaboration between game companies Spike Chunsoft and tri-Ace. Many fans of Valkyrie Profile are very excited and hyped for this new title that has a lot of promise from both old and new fans alike. Presented as a side-scrolling RPG, Exist Archive has a unique style of gameplay that works well in a world of turned based gaming and action JRPGs. This review will cover both the narrative and gameplay elements of Exist Archive: The Other Side of the Sky. Let’s begin with the best part about the game, the griping narrative. Breaking boundaries and presenting a more unique story than many JRPGs these days, Exist Archive goes beyond generic tropes, offering a unique experience and explanation of the world. Although the main character is transported into a fantasy world at random, there is an explanation for it. Many of the characters and future party members have died in explosions around Tokyo, teleported to this vivid and unknown world after their deaths. In a way, it acts as a purgatory, as characters are forced to fight their way through dungeons. Characters must fight for their own survival and prevent the resurrection of a god whose fragments of its soul are spread in the 12 people/main cast. This provides a very interesting and philosophical take on the meaning of life and the struggle of humankind. Speaking of characters, each of the main party member has a distinctive role and characterization that reveal who they really are throughout the story. This is really great to see and keeps the player emotionally invested in the game. Although the story in Exist Archive is very interesting, but sometimes can fall into the generic anime character trap. Although Kanata is cool, he sometimes can act like a typical main character, immediately knowing how to fight, sometimes having typical interactions with others, and in general acting like an MC would in intense situations. Mayura, although a cute and likable character, suffers from amnesia, a common trope found in games. However, it must be said that this game is not too generic and the characters are great. There are just some moments that fall into this category. Although the story is great, another place where Exist Archive truly shines is the fun, enticing gameplay. Gameplay is very fun and addicting, offering a sort of unique hybrid of 2D sidescrolling and strategy/action RPG elements. Players take on quests, navigating the dungeons from one end of the screen to the other, occasionally turning forward and backward to discover a new area. It’s relatively simple and never gets overly complicated. Quests involve anything from defeating bosses to finding a way to the other side. Battles in Exist Archive are one of the best parts about the game. In order to engage in combat, players must approach the enemy “cloud” in a certain way, either by attacking, jumping, or approaching it. When the battle screen appears, players take control of the party members, and choose what attacks they will engage in on the field. This is where the strategy/action aspect of the game comes in. Players choose what areas of enemies to attack, with the ultimate goal of eliminating as many as possible. After choosing where to attack, you can use up action points to engage in combo attacks to take the enemy down. Guarding is also important, especially with enemies who take a ton of health off. Raising affection levels with characters is also key. Doing this will allow for useful skills and attacks on the battlefield, and also special events. Events in the game are also fun and bring more depth to the already great story. Most of the time, combat is very fun and not stressful at all. There are minor implications such as leaving the dungeon results in a failed quest and running off the screen/accidentally leaving. Sometimes, it can get repetitive, but not until much later on. This is not major. however. Other details about the game are the character models, soundtrack, and visuals. Character models are alright, but I personally do not care for the look. Despite this, the art in the game is absolutely gorgeous, Anime cutscenes are vivid as well as the other world. Bright colors and visually appealing backgrounds are very nice on the eyes and fit in with Exist Archive very well. The soundtrack is pretty solid as well. Exist Archive: The Other Side of the Sky is a great RPG that is both enjoyable to play and unique in its execution. The story goes beyond generic tropes, offering a unique take on life and death. Gameplay is fun and addicting, especially with combo attacks and the sidescrolling setup. Will this game hold up to Valkyrie Profile’s legacy? That’s for you to decide. 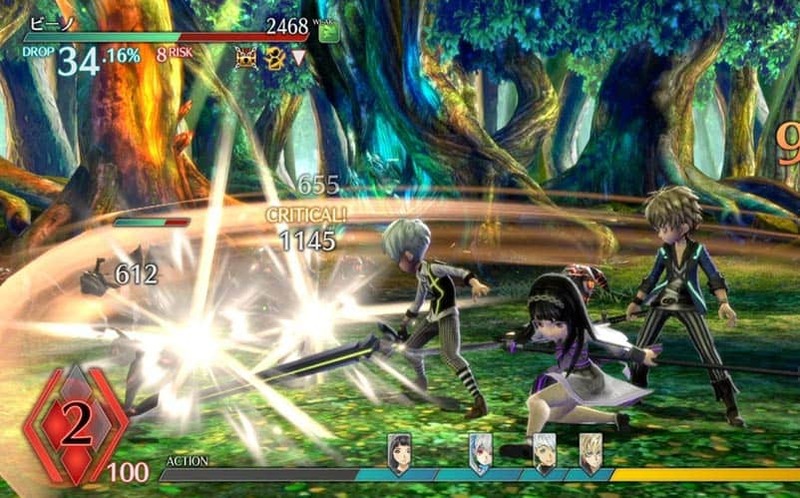 However, Exist Archive: The Other Side of the Sky is a great title for fans of RPGS. Buy your copy of Exist Archive: The Other Side of the Sky here.